Saint John Paul II University Parish depends upon the support of generous givers. If you would like to donate to our Parish, please read below about several ways you can help. 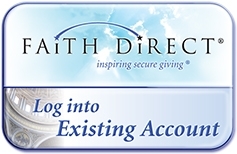 We process online donations through Faith Direct. 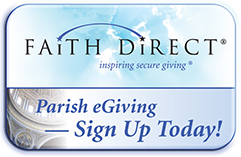 It is a secure and easy way to make a one-time donation or set up a recurring gift. We have a capital campaign to raise funds for our new pastoral center which will include a dedicated chapel just across the street from the University of North Texas campus. Please make checks out to St. John Paul II Parish. If you would like to specify that your donation to go toward the operational budget or the capital campaign, please write this in the memo section of your check. We are registered with Amazon Smile. This is a site identical to Amazon with the same shopping experience, but with the addition that 0.05% of your purchace comes to St. John Paul II Parish. Please consider using Amazon Smile when making your regular Amazon purchases so you can help us out at no cost to you or us!